This is where it’s all happening. 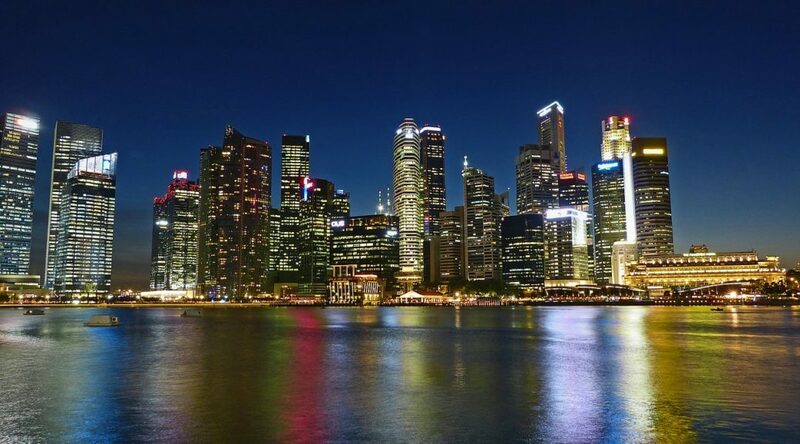 Singapore has long been dubbed the gateway to Asia and when you’re here, you get the distinct feeling that you are on the frontier of global sourcing. Some of the most exciting and experienced procurement professionals in the world are based here. A lot of the future growth and innovation in our profession will pass through this city. You’re going to need cash. This is an expensive city, especially if you are chasing the 5 C’s of Singapore – Cash, Credit Card, Condo, Country Club and Car. Cars are expensive, but what’s more expensive is the license/tax to drive it. All up, a 3 Series BMW with an open market value of $32,000 USD will set you back a cool $160,000 USD in Singapore. If you have children, beware… Tuition fees at private international schools can cost up to $35,000 USD a year. Most CPOs I spoke to were not on “ex-pat” packages so these costs were not included as part their salaries. We were also told on this trip that procurement roles in other countries within the region, such as Indonesia or China, are paying 2 to 3 times what the global companies are paying in Singapore… This is certainly something to be considered and negotiated before accepting your new role. You’re going to need to understand this isn’t a region. Asia-Pac is a diverse group of countries with more than a dozen different cultures many with their own language, beliefs and practices. When you are being “sold” the job from Global HQ, they probably won’t understand the complexity and geographical spread of this ‘region’ – so make sure you do! One CPO today told me it takes 5 hours for him to fly into China or Japan and 12 hours to get to his team in New Zealand – those flight times are like flying between Greenland, Ghana, and Guatemala for a London based CPO. In fact, it takes less time to fly from London to Beijing than it does to fly from Singapore to Auckland. You’re going to have to learn to keep quiet. One of the things we learnt in our cultural awareness workshop with Dr Tom Verghese, was how people from some Asian cultures have a tendency to be very quiet in meetings/business interactions. This means, those procurement leaders from western cultures need to ensure they actively create an environment of trust and encourage people into the conversation to share their views. One of our Roundtable members highlighted how this presented a real challenge when trying to foster a culture of innovation and experimentation. It was suggested that certain cultures in the region are hesitant to try something new if it may lead to a loss of face. Have an open mind and learn! Singapore presents a fantastic opportunity to learn how to work with and manage just about every culture in the world – a brilliant training ground for future leaders. The CPOs at the Asia Roundtable were a truly multinational bunch with representation from France, Canada, Britain, Malaysia, Singapore, Australia and Italy. They had lived in just about every country in the world and had managed people from all over Asia and the around globe. What a great opportunity to learn about the nuances and needs of all these cultures! Previous PostProcurious Big Idea #32 – Cognitive DiversificationNext Post3D Printing – The End of Outsourcing?